Social Media in Sri Lanka: Do Science and Reason Stand a Chance? Sri Lanka’s first Science and Technology for Society (STS) Forum took place from 7 to 10 September in Colombo. Organized by the Prime Minister’s Office and the Ministry of Science, Technology and Research, it was one of the largest gatherings of its kind to be hosted by Sri Lanka. Modelled on Japan’s well known annual STS forums, the event was attended by over 750 participants coming from 24 countries – among them local and foreign scientists, inventors, science managers, science communicators and students. I was keynote speaker during the session on ‘Using Social Media for Discussing Science Topics’. I used it to highlight how social media have become both a boon and bane for scientific information and thinking in Sri Lanka. This is due to peddlers of pseudo-science, anti-science and superstition being faster and better to adopt social media platforms than actual scientists, science educators and science communicators. Sri Lanka takes justified pride in its high literacy levels and equally high coverage of vaccination against infectious diseases. But we cannot claim to have a high level of scientific literacy. If we did, it would not be so easy for far-fetched conspiracy theories to spread rapidly even among educated persons. Social media tools have ‘turbo-charged’ the spread of associated myths, superstitions and conspiracy theories! It is not a case of all doom and gloom. I cited examples of private individuals creatively using social media to bust myths and critique all ‘sacred cows’ in Lankan society – including religions and military. These voluntary efforts contrast with much of the mainstream media cynically making money from substantial advertising from black magic industries that hoodwink and swindle the public. Sri Lanka STS Forum panel on Using Social Media for Discussing Science Topics. 9 Sep 2016. With 30 per cent of Sri Lanka’s 21 million people regularly using the Internet, web-based social media platforms have become an important part of the public sphere where myriad conversations are unfolding on all sorts of topics and issues. Facebook is the most popular social media outlet in Sri Lanka, with 3.5 million users, but other niche platforms like Twitter, YouTube and Instagram are also gaining ground. Meanwhile, the Sinhala and Tamil blogospheres continue to provide space for discussions ranging from prosaic to profound. Marketers, political parties and activist groups have discovered that being active in social media is to their advantage. Some science and technology related topics also get discussed in this cacophony, but given the scattered nature of conversations, it is impossible to grasp the full, bigger picture. For example, some individuals or entities involved in water management, climate advocacy, mental health support groups and data-driven development (SDG framework) are active in Sri Lanka’s social media platforms. But who is listening, and what influence – if any – are these often fleeting conservations having on individual lifestyles or public policies? Is there a danger that self-selecting thematic groups using social media are creating for themselves ‘echo chambers’ – a metaphorical description of a situation in which information, ideas, or beliefs are amplified or reinforced by transmission and repetition inside an “enclosed” system, where different or competing views are dismissed, disallowed, or under-represented? Even if this is sometimes the case, can scientists and science communicators afford to ignore social media altogether? For now, it appears that pseudo-science and anti-science sentiments – some of it rooted in ultra-nationalism or conspiracy theories — dominate many Lankan social media exchanges. The keynote speaker once described this as Lankan society permanently suspending disbelief. How and where can the counter-narratives be promoted on behalf of evidenced based, rational discussions? 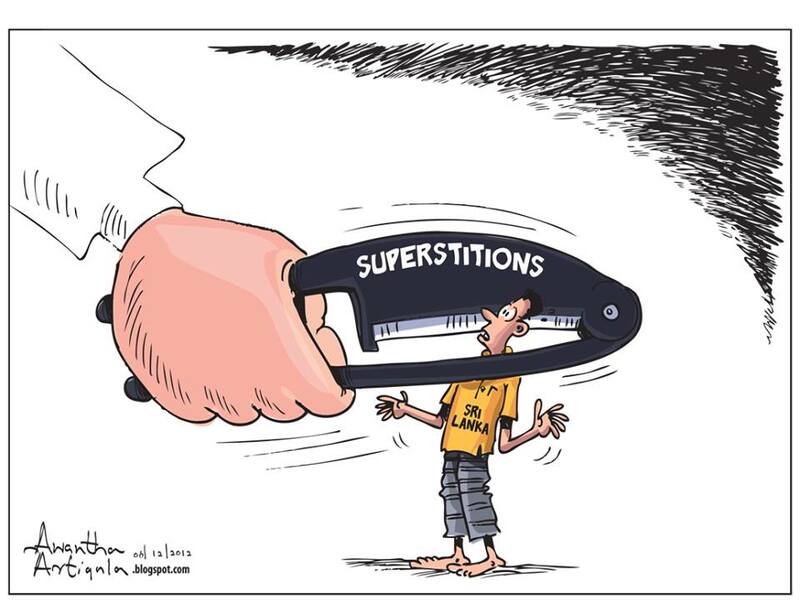 Is this a hopeless task in the face of irrationality engulfing wider Lankan society? Or can progressive and creative use of social media help turn the tide in favour of reason? This panel would explore these questions with local examples drawn from various fields of science and skeptical enquiry. This op-ed essay was published in Daily FT newspaper, Sri Lanka, on 7 September 2016. Sri Lanka’s first Science and Technology for Society (STS) Forum will take place from 7 to 10 September in Colombo. Organized by the Prime Minister’s Office and the Ministry of Science, Technology and Research, it is one of the largest gatherings of its kind to be hosted by Sri Lanka. Modelled on Japan’s well known annual STS forums, this event will be attended by over 750 participants coming from 24 countries – among them will be local and foreign scientists, inventors, science managers, science communicators and students. What sets STS Forums apart is that they are not merely events where scientists talk to each other. That surely will happen, but there will be many more voices and, hopefully, much broader conversations. As a member of the content planning team for this event, my particular focus has been on the strand called “citizen science” – interpreted, in this instance, as activities that enhance the public understanding of science and technology. Under this strand, there will be four sessions that explore: community involvement in science and research; informal science education for the 21st century; communicating science, technology and innovation; and using social media for discussing science. At first glance, these topics don’t seem as exciting as nanotechnology, robotics and space technology that are being covered in other sessions. But I would argue that public engagement is the most decisive factor if science and technology are to play a significant role in the economic development and future prosperity of Sri Lanka. Public engagement of science goes well beyond teaching science and technology subjects in schools or universities. It is also bigger than (state or private sector driven) science centres, exhibitions or science content in the media. All these elements help, but at its most basic, what we need to promote is a way of thinking known as scientific literacy. Scientific literacy is defined as “the knowledge and understanding of scientific concepts and processes required for personal decision making, participation in civic and cultural affairs, and economic productivity”. Indeed, some basic scientific knowledge and technical skills have become essential for survival in the 21st century. But scientific literacy provides more than just utility benefits. Sri Lanka takes justified pride in its high literacy levels and equally high coverage of vaccination against infectious diseases. But we cannot claim to have a high level of scientific literacy. It is customary to temporarily suspend our disbelief to enjoy films, novels and other creative art forms. But most of us don’t confuse fiction with fact, even with highly plausible scenarios. Yet when it comes to real life, as opposed to art, has ‘suspended disbelief’ become a permanent, default setting for many Lankans today? Is our society more gullible and paranoid now than it was a generation or two ago? If so, how come? These inconvenient questions are worth asking, if only to make us pause and think. Half a century ago, a Kerala-born science teacher named Dr Abraham Thomas Kovoor (1898 – 1978) settled down in newly independent Ceylon. After retirement, he took to investigating so-called supernatural phenomena and paranormal practices. He found adequate physical or psychological explanations for almost all of them. In that process, he exposed many ‘god men’ who were thriving on people’s ignorance, gullibility and insecurities. Most Lankans would fall into one of these three categories – and the minority with open minds are under ‘peer pressure’ to assimilate! Progress of science and technology since the 1960s has given us many gadgets and media tools, but the more information we have, the less we seem to be able to think for ourselves. Thus, we have broadband alongside narrow minds, a poor juxtaposition! The proliferation of smartphones and other digital tools have not necessarily opened our minds, or made us Lankans any less gullible to charlatans or zealots. This is a huge conundrum of our times. That is because mastery over gadgets does not necessarily give us scientific literacy. It involves a rational thought process that entails questioning, observing physical reality, testing, hypothesizing, analyzing and then discussing (not always in that order). A healthy dose of scepticism is essential to safeguard ourselves from superstitions, political claims and increasingly sophisticated – but often dishonest – product advertising. That’s what scientific literacy builds inside our minds. Unless we make scientific literacy an integral part of everyone’s lives, ambitious state policies and programmes to modernize the nation could well be jeopardized. Progress can be undermined — or even reversed — by extremist forces of tribalism, feudalism and ultra-nationalism that thrive in a society that lacks the ability to think critically. A sporting analogy can illustrate what is needed. Cricket is undisputedly our national passion. It is played professionally only by a handful of men (and even fewer women) who make up the national teams and pools. But most of the 21 million Lankans know enough about cricket to follow and appreciate this very English game. Similarly, there are only a few thousand Lankans engaged in researching or teaching different branches of science and technology – they are the ‘professionals’ who do it for a living. But in today’s world, the rest of society also needs to know at least the basic concepts of science. Cricket didn’t has become part of our socio-cultural landscape overnight. It took years of innovation and persistence, especially by trail-blazing radio cricket commentators in Sinhala and Tamil. By the time we achieved Test status in 1981, all levels of our society were familiar with cricket’s rules and nuances. Giving everyone a minimum dose of scientific literacy requires a similar marshalling of forces – including civil society mobilization, media collaboration, creative innovation and social marketing. ‘Science for All’ acquires true meaning only when every citizen – irrespective of education, profession or income level – gets enough skepticism to avoid being exploited by various scams or misled by conspiracy theorists. Are we ready to embark on this intellectual vaccination process? සිවුමංසල කොලූගැටයා #256: විචාර බුද්ධියෙන් තොර සමාජයක් සැබැවින්ම නිදහස්ද? In this week’s Ravaya column (appearing in issue of 7 February 2016), I reflect on the value of independence of thought and critical thinking. It coincides with the 68th anniversary of Sri Lanka’s political independence from Britain observed on Feb 4. I argue that for much of Sri Lanka’s recorded history, we had open frontiers that welcomed traders, scholars, pilgrims, artistes, missionaries and others from the East and West. This was the ‘ehi-passika‘ (meaning ‘come and see’) formula in Buddhism, which made our kings and courtiers open-minded. Such engagement had their pros and cons, but on the whole, the island nation was richer for the free flow of genes, ideas and technologies. It was only during the last five centuries – out of 25 in recorded history – that the balance was lost due to European colonisation. Indeed, the island’s fauna, flora and people would be radically different today if such influences and cross-fertilisation didn’t happen. Excepting our aboriginal veddahs, all other races are immigrants from elsewhere. All our religious faiths are also ‘imported’. Sri Lanka today is a result of endless assimilating and remixing. Yet, today, many Lankans are highly apprehensive of the outside world. They constantly warn of elaborate international plots to ‘undermine and destabilise’ Sri Lanka. The usual suspects include cocktail of acronyms – among them the CIA, MI5, RAW, the IMF (and its twin, the World Bank), certain UN agencies and an assortment of supposedly ‘evil’ multinational corporations. 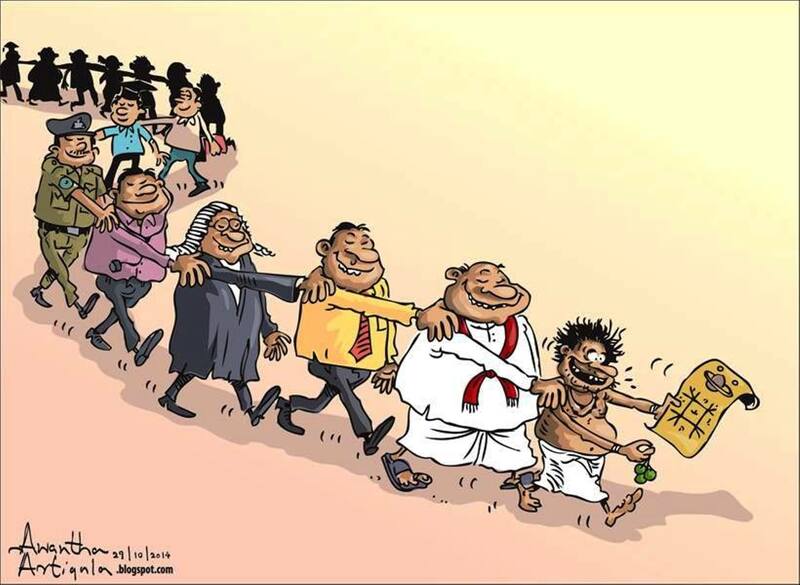 Worryingly, an alarmingly high number of Lankans take these imaginary scenarios for real. High levels of literacy and schooling make little difference. Our media often peddle — and amplify – these for cheap thrills or higher ratings. We will not be a free nation until and unless we can develop independent and critical thinking. දේශපාලන හා පරිපාලනමය නිදහස ලැබීමේ සංවත්සරය සමරන මේ සතියේ, නිදහස පිළිබඳව අපට විවිධාකාරයෙන් මෙනෙහි කළ හැකියි. නිදහසින් පසු අපේ රටට සිදු වූ දේ ගැන කතා කිරීමත්, අපට අතහැරුණු අවස්ථා සහ ගිය වැරදි මාර්ගයන් ගැන දුක් වීමත් සමහරුන්ගේ ප‍්‍රියතම ආවර්ජනයයි. මගේ අරමුණ චින්තන ස්වාධීනත්වය නොහොත් අදීනව සිතීමේ හැකියාව සමාජයක් ලෙස අප පොදුවේ ලබා ගෙන ඇත්දැයි විපරම් කිරීමයි. නිදහසෙන් පසු රටේ තීරණ ගත් දේශපාලන නායකයන්ගේ දැක්මේ අඩුපාඩු හා බරපතල දෝෂයන් තිබූ බවට අප දන්නවා. එහෙත් සමාජයක් ලෙස පුරවැසියන් හා ඡන්දදායකයන් වන අපේ චින්තනයේ දුර්වලතා බොහෝ විට අප දකින්නේ නැහැ. නැතිනම් නොදුටුවා සේ සිටිනවා. උපතේදී අහම්බෙන් ලද (ජාතිය, ආගම, කුලය ආදී) හෝ පසු කලෙක ආරෝපණය වූ (උගත් පාසල, කැමති දේශපාලන පක්ෂය ආදී) හෝ ලේබල කන්දරාවක් අලවා ගෙන, ඒවා වෙනුවෙන් කුලල් කා ගනිමින් සිටිනවා. මෙහි ස්වාධීන චින්තනයක් කොහින්ද? එහෙත් අපේ ඉතිහාසගත උරුමය මෙය නොවෙයි. ශ‍්‍රී ලංකාව භෞතිකව දුපතක් වුවද ශිෂ්ටාචාරමය වශයෙන් ගත් විට එය කිසි දිනෙක ඉතිහාසයේ හුදෙකලා වූ දිවයිනක් වූයේ නැහැ. සහශ‍්‍රකයන් ගණනාවක් පුරා අප රට ලෝකය සමග ගනුදෙනු කොට තිබෙනවා. අනුරාධපුර යුගයේ රජුන් පුරාණ ග‍්‍රීසියේ හා රෝමයේ පාලකයන් සමග විදේශ සබඳතා පවත්වා තිබෙනවා. ඉන්දියානු සාගරයේ දේශාටනයේ යෙදුණු චීන, පර්සියන් හා යුරෝපීය වෙළෙඳුන්/ගවේෂකයන් මෙහි යාම ඒම නිතර සිදු වුණා. ඓතිහාසිකව අපේ ශිෂ්ටාචාරය ලෝකයට විවෘතව තිබූ අතර එයින් අපේ අනන්‍යතාවලට හෝ සංස්කෘතියට හෝ හානියක් වූයේ නැහැ. පිටතින් ආ දැනුම, භාණ්ඩ හා සම්ප‍්‍රදායන් හරහා අපේ දිවයිනේ විචිත‍්‍රත්වය තවත් වැඩි වූවා පමණයි. අද රටේ වෙසෙන (වැදි ජනයා හැර) අන් සියලු ජාතීන් පිටරටකින් මෙහි ආ සංක්‍රමණිකයන්. ලෝකය අපට හිරිහැර කොට අප රටක් ලෙස අස්ථාපිත හා බෙලහීන කරන්නට සැරසී සිටී යන මානසිකත්වය අපේ සමහරුන්ට සාපේක්ෂව මෑතදී ආරෝපණය වූවක්. මේ නිසා ඔවුන් ලෝකයම ගැන බියෙන්, සැකෙන් හා කුමන්ත‍්‍රණවාදී තර්ක කරමින් විපරීත මානසිකත්වයෙන් කල් ගෙවනවා. 1948දී ලද දේශපාලන හා පරිපාලනමය නිදහස මෙන්ම අප ආයාසයෙන් වර්ධනය කර ගත යුතු චින්තනයේ නිදහස ද (independence of thought) මා අගය කරනවා. එනයින් බලන විට අපේ සමාජයේ බහුතරයක් දෙනා චින්තන නිදහස තවම ලබා නැහැ! ස්වාධීනව සිතන රටක් හා ජාතියක් කුමන සුපිරි බලවතකුට හෝ ඇත්තටම යටත් කර ගන්නට බැහැ. එසේම මොන දේශපාලන නිදහස තිබුණත් තර්කානුකූලව සිතීමේ විචාරශීලී හැකියාව සමාජයට නැතිනම් එය නිදහස් සිතුවිලිවලට ඉඩක් නොදෙන, පටු හා ගතානුගතික සමාජයක් වනවා. අපේ සමාජය එවැන්නක්. එවන් සමාජයන්හි නව නිපැයුම් හා නවෝත්පාදන එතරම් පැන නගින්නේ නැහැ. තරුණ අදහස් උදහස්වලට නිසි තැනක් නැහැ. බහුතරයක් තරුණ තරුණියන් බලා සිටින්නේ කෙසේ හෝ රටින් නික්ම ගොස් වෙන රටක වාසය කිරීමටයි. සමාජ විද්‍යා සමීක්ෂණවලින් මෙය තහවුරු වනවා. සමාජයේ හැම කෙනකුම එකම අච්චුවේ, එකම ශෛලියකට ජීවත් විය යුතුය යන ආකල්පය ද සැබෑ නිදහස් හා පරිනත සමාජයකට කිසිසේත් ගැලපෙන්නේ නැහැ. සංඛ්‍යාත්මක බහුතරය කරන කියන දෙයට වෙනස් මගක යන වමත් හුරු වූවන්, නිර්මාංශ භක්ෂිකයන්, නිර්ආගමිකයන් ආදීන්ට අපේ ගතානුගතික සමාජයේ මතු වන ප‍්‍රශ්න, සමච්චල් හා හෙළා දැකීම් වැඩියි. ලිංගික සුළුතරයකට අයත් වූවන්ට (සමරිසි, සන්ක්‍රාන්ති ලිංගික හා ද්විලිංගික) නම් සමාජ ප‍්‍රතිරෝධය එළිපිටම ප‍්‍රබලව පැන නගිනවා. මේ සියල්ල වැඩවසම් හා වහල් මානසිකත්වයක් මත පදනම් වූ පසුගාමී සමාජයක ලක්ෂණයි. සංස්කෘතික හා මානව විවිධත්වය ඉවසා දරා ගැනීමට බැරිකමයි. ඉතින් අප නිවහල් සමාජයක්ද? බහුතරයකට විචාරශීලීව හා පුළුල්ව සිතීමට බැරි වීමේ තවත් බරපතල සමාජ ප‍්‍රතිඵලයක් නම් මිථ්‍යාව, අවිද්‍යාව හා ව්‍යාජ විද්‍යාවන් අන් කවරදාටත් වඩා ප‍්‍රචලිතවීමයි. මා කවදත් කියන පරිදි ඕනෑම කෙනෙකුට කැමති දෙයක් විශ්වාස කිරීමට පුද්ගල නිදහස තිබෙනවා. එහෙත් තමන්ගේ ඇදහීම නිල බලය හරහා සමාජය පිට පැටවීමට ඉඩ නොතිබිය යුතුයි. උදාහරණයකට රාහු කාලය විශ්වාස කිරීම වැනි ප‍්‍රාථමික ක‍්‍රියා තනි පුද්ගලයකුට කළ හැකි වුවත් එය රටේ දරුවන් ලක්ෂ ගණනකට බලපාන විභාග කාලසටහනකට අදාළ කිරීමට අධ්‍යාපන බලධාරීන්ට කිසිදු නීතිමය හෝ සදාචාරාත්මක අයිතියක් නැහැ. ජ්‍යොතිෂය වැනි අවිද්‍යාත්මක ගුප්ත ව්‍යාපාර තම නිවසේ හෝ කඩයක හෝ සිට කිරීමට එය ප‍්‍රගුණ කරන අයට නිදහස ඇතත් ඒවා ටෙලිවිෂන් නාලිකා හරහා රටටම බෙදීම බෙහෙවින් විවාදාත්මකයි. සියලූ ටෙලිවිෂන් හා රේඩියෝ නාලිකා විකාශයන්ට යොදා ගන්නේ පොදු දේපලක් වන විද්‍යුත් තරංග සංඛ්‍යාතයි. ඒ නිසා පත්තර හා වෙබ් අඩවිවලට වඩා වගකීම් සමුදායක් විද්‍යුත් මාධ්‍යවලට තිබෙනවා. දකුණු ඉන්දියානු ප‍්‍රාන්තයක් වන කර්ණාටකයේ පාලක කොංග‍්‍රස් පක්ෂය මෑතදී යෝජනා කර ඇත්තේ ටෙලිවිෂන් නාලිකා බොහොමයක ජනප‍්‍රිය වී තිබෙන ජ්‍යොතිෂ වැඩසටහන් තහනම් කළ යුතු බවටයි. එයට හේතුව ලෙස කර්ණාටක මහ ඇමති සිද්ධරාමයියා කියන්නේ මිථ්‍යාවන් අධික ලෙස ජන සමාජයේ පැතිරවීමට මේ වැඩසටහන් දායක වන බවයි. මෙය ජ්‍යෙතිෂකරුවන්ගේ ප‍්‍රකාශන නිදහස බාධා කිරීමක්ද? සාක්ෂරතාව මෙතරම් ඉහළ ගිය, අධ්‍යාපන මට්ටම්ද උසස් වූ අපේ වැනි සමාජයක උගත් උදවිය පවා ලෙහෙසියෙන් මිථ්‍යා හා ව්‍යාජ විද්‍යාවන්ට රැවටෙන්නේ ඇයි? මෙය වෙනම විග‍්‍රහ කළයුතු සමාජ විද්‍යාත්මක ප‍්‍රශ්නයක්. එහෙත් චින්තනයේ නිදහසේ නාමයෙන් මෝඩකමට හා අන්ධ විශ්වාසයට නිදහස ලැබීම නම් සමාජයකට අතිශයින් හානිකරයි. පරමාදර්ශී චින්තන නිදහස ඉතා මැනවින් හසු කර ගන්නා කවියක් මහා කවි රබීන්ද්‍රනාත් තාගෝර් මීට සියවසකට පෙර රචනා කළා. ‘චිත්තෝ ජේතා භොයිශුන්යෝ’ නමින් බෙංගාලි බසින් ලියූ එය ඔහු විසින්ම 1911දී ඉංග‍්‍රීසියට පෙරළනු ලැබුවා. 1912දී ලන්ඩනයේ පළ කරන ලද ගීතාංජලී කාව්‍ය සංග‍්‍රහයේ 35 වන කවිය ලෙස ඇතුළත් වූ මෙය සියවසක් පුරා ඉන්දියාවේත්, බංග්ලාදේශයේත් පුළුල්ව උපුටා දැක්වෙන දාර්ශනික අදහස් මාලාවක්. සිංහල රසිකයන් මේ කව හඳුනා ගත්තේ මහගම සේකරයන් විසින් ගීතයක් ලෙස රචනා කරනු ලැබ අමරදේවයන්ගේ හඬින් ගයනු ලැබූ පසුවයි. පරමාදර්ශී නිදහස ගැන සිහින මවන කාගේත් පැතුම විය යුත්තේ මේ තාගෝර්-සේකර-අමරදේව ගීයේ අදහස් මාලාවයි. එහෙව් නිදහසේ ස්වර්ග රාජ්‍යයට මාගේ දේශය අවදි කරනු මැන පියාණනේ! සිවුමංසල කොලූගැටයා #195: අපේ රටේ බලවත්ම පුද්ගලයෝ ජ්‍යොතිර් ඇදුරන්ද? In this week’s Ravaya column (in Sinhala), published on 23 November 2014, I ask whether astrologers are the most powerful persons in Sri Lanka. This is because all important decisions of the state, including the ceremonial opening of Parliament and scheduling of elections, is done strictly on astrological advice. 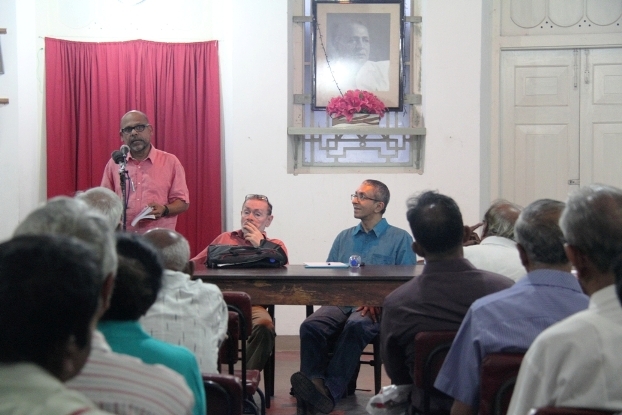 Speaking at a recent meeting of the Sri Lanka Rationalists’ Association to discuss my latest book, writer and political commentator Gamini Viyangoda said astrology determines so many personal and public decisions in Sri Lanka. In this obsession, ruling party and opposition party politicians seem united. ප‍්‍රවීණ ලේඛක හා දේශපාලන විචාරක ගාමිණී වියන්ගොඩ මේ ප්‍රකාශය කළේ මගේ අලූත්ම පොත ‘කාල බෝම්බ ඕනෑකර තිබේ’ නිමිත්ත කර ගෙන ශ‍්‍රී ලංකා හේතුවාදීන්ගෙ සංගමය 2014 ඔක්තෝබර් 23දා කොළඹ එන්. එම්. පෙරේරා කේන්ද්‍රයේ පැවැත්වූ සංවාද මණ්ඩපයේදී. සිවුමංසල කොලූ ගැටයා තීරු ලිපියේ හේතුවාදී දැක්මක් තිබෙනවා. මා හේතුවාදීන්ගෙ සංගමයේ සාමාජිකයකු නොවූවත් ඔවුන්ගේ තර්කානුකූල හා විචාරශීලි ප‍්‍රවේශය මට ද සමීපයි. ඇත්තටම මා මේ තීරු ලිපිය ලියන්නේ හේතුවාදීන් නොවන බහුතරයක් ලාංකිකයන්ගේ මනැස ටිකක් හෝ විවෘත කිරීමේ අරමුණින්. හේතුවාදීන්ගෙ සංගමයේ වත්මන් සභාපති සූරපාල රණතුංගත්, ලේකම් තාරක වරාපිටියත් මූලික හැඳින්වීමක් කළ පසු හේතුවාදී ක‍්‍රියාකාරිකයන් හා ලේඛකයන් වන ගාමිණි වියන්ගොඩ හා එස්. එම්. බන්දුසීල දෙදෙනා මගේ පොත හා තීරු ලිපි ගැන අදහස් දැක්වූවා. අපේ ඇතැම් දෙනා ක‍්‍රියා කරන ආකාරය දෙස බලන විට ශ්‍රී ලංකා දුපතේ බුද්ධිමත් ජීවීන් සිටිනවා ද යන්න සැක සහිතයි. මේ තරම් සාක්‍ෂරතාවය ඉහළ හා මාධ්‍ය භාවිතය ප‍්‍රචලිත වූ රටක, මේ තරම් ලෙහෙසියෙන් මුලා කළ හැකි ජනතාවක්, හමු වන්නේ ඇයි? මේ විග්‍රහය මටත් පිලිගන්න සිදු වනවා. මෙවැනි අදහස් අද විවෘතව පල කැරෙන්නේ ද කලාතුරකින්. ‘‘ජ්‍යොතිර් ඇදුරන්ට, පේනකරුවන්ට ස්ථිරව යමක් කියන්න බැරි බව දැන දැනත්, කියාපු දේවල් බොරු වූ අවස්ථා දැක දැකත්, ඒ පසු පස යන්නන්ගේ අඩුවක් ශ‍්‍රී ලංකා සමාජය තුළ දැක ගන්න නැහැ…. එසේම තම අවශ්‍යතා ඉටු කර ගන්න විවිධ දෙවි දේවතාවන් කරා ගොස් බාරහාර වන ජනයින්ගේ අඩුවක් දැක ගන්නත් නැහැ’’ ඔහු තව දුරටත් කියනවා. මා කවදත් කියන්නේ මෙයයි. තනි පුද්ගල මට්ටමින් ඕනෑ කෙනෙකුට ඕනෑම අභව්‍ය දෙයක් ඇදහීමට හා ඒ සඳහා තම කාලය හා මුදල් වැය කරන්නට නිදහස තිබෙනවා. එහෙත් එම ඇදහිලි හා විශ්වාස සෙසු සමාජයට බලෙන් ආරෝපණය කිරීමට හෝ රාජ්‍ය ප‍්‍රතිපත්ති හා රාජ්‍ය පාලනයට ඒවා හරහා බලපෑම් කිරීමට හෝ නිදහසක් නැහැ. මිථ්‍යාවට මුවා වී, ජනයා බියපත් කර මුදල් ගසා කන වංචනික ජ්‍යෙතිෂවේදීන් හා වෙනත් ගුප්ත ශාස්ත‍්‍රකරුවන් මෑතක සිට තමන්ගේ සටකපට කි‍්‍රයා සඟවන්නට තැත් කරන්නේ ‘සාම්ප‍්‍රදායික දැනුම’ නම් තිරයට මුවා වෙමින්. කොවූර් ශ්‍රී ලංකා හේතුවාදී සංගමය ආරම්භ කළේ 1960දී. විවෘත මනසකින් යුත් විචාරශීලී ලාංකිකයන් රැසක් එයට ඇද ගන්නට ඔහු සමත් වුණා. එනයින් බලන විට කොවූර් හේතුවාදී සංගමයෙන් හා ව්‍යාපාරයෙන් ඔබ්බට ගිය විද්‍යාත්මක චින්තන විප්ලවයකට මුල පිරුවා යයි කිව හැකියි. මේ සදහා විද්‍යාව ඉහළට උගත් එහෙත් ඒ උගත්කමින් මනස මොට කර නොගත් බුද්ධිමතුන් ගණනාවක් මෙන්ම සිංහලෙන් හා දෙමලෙන් ජන සමාජයට මේ පණිවුඩ ගෙන යා හැකි ලේඛන හැකියාව ඇති කලාකරුවන් කිහිප දෙනකු ද ඔහු සම්බන්ධ කර ගත්තා. එයින් මුල් ගණයට වැටුණු අයගෙන් වඩාත් ප‍්‍රකට වූ චරිතයක් වෛද්‍ය කාලෝ ෆොන්සේකා. තරුණ වෛද්‍යවරයකු හැටියට 1970දී පමණ ඔහු ගිනි පෑගීමේ විද්‍යාත්මක පදනම ගවේෂණාත්මකව ඔප්පු කළේ එය කිසිදු හාස්කමක් හෝ දේවබලයක් හෝ නැතිව කළ හැකි බව ප‍්‍රායෝගිකව පෙන්වා දෙමින්. කොවූර් වටා ඒකරාශී වූ චරිත අතර ප‍්‍රවීණ ලේඛකයන් වූ අජිත තිලකසේන හා අමුණුගොඩ තිලකරත්න ද සිටියා. පසු කලෙක ශ්‍රී ලංකා හේතුවාදී සංගමයේ සභාපති ලෙස ක‍්‍රියා කළ නීතිඥ ධර්මපාල සේනාරත්න තරුණයකු හැටියට හේතුවාදී ව්‍යාපාරයට ඇදී ආවේ ද 1960-1970 යුගයේයි. මෙරට හේතුවාදී ව්‍යාපාරයේ ස්වර්ණමය යුගය වූයේ ද ඒ දශක දෙකයි. එයට එක් හේතුවක් නම් කොවූර් හා ඔහු වටා එක් වූ දක්‍ෂයන් පිරිසයි. එහෙත් එවකට ලක් සමාජය අදට වඩා එදා විවෘත හා බුද්ධිගෝචර වූ බවට ද තර්ක කළ හැකියි. ඒ ඇයි? 1963 ජන සංගණනයට අනුව මෙරට ජනගහනයෙන් සියයට 76.8ක් දෙනා සාක්‍ෂරතාවය ලබා සිටියා. 1971 සංගණනය වන විට එය සියයට 78.5 දක්වා දියුණු වූ අතර මේ වන විට එය සියයට 92ක් පමණ වනවා. මෙරට අධ්‍යාපන මට්ටම් හා ඒවාට යොමු වන ජන සංඛ්‍යාව හා ප‍්‍රතිශතයන් ඉහළ ගොස් ඇති බව පැහැදිලියි. සන්නිවේදන තාක්‍ෂණයය පැත්තෙන් බැලූ විට ද සංඛ්‍යාත්මකව විශාල වැඩිවීමක් සිදු වී තිබෙනවා. දුරකථන, රේඩියෝ හා පුවත්පත් පරිශීලනය කරන ජන සංඛ්‍යාව හා ප‍්‍රතිශතය වැඩි අතර එදා නොතිබුණු ටෙලිවිෂන් හා ඉන්ටර්නෙට් මාධ්‍යත්, ජංගම දුරකථනත් අද සමාජයේ ස්ථාපිත වෙලා. තොරතුරු හා දැනුම ලබා ගන්නට හා බෙදා ගන්නට හැකියාව මීට වසර 50කට වඩා අද පැහැදිළිව ම වැඩියි. මේ ප‍්‍රමාණාත්මක දියුණවත් සමග ගුණාත්මකව දියුණුවක් ඇති වී තිබේ ද යන්න විවාදත්මකයි. අපේ ඇතැම් අය මෙන් මා යටගියාව ගැන රොමෑන්ටික් ලෙසින් අතිශයොක්තියෙන් දකින්නකු නොවේ. එහෙත් හේතුවාදීන්ගේ ස්වර්ණමය යුගයේ ඔවුන්ගේ සමාජ මෙහෙවරට අනුබල දෙන්නට, දිරි ගන්වන්නට මෙරට බුද්ධිමතුන්, කලාකරුවන්, වෘත්තිකයන් හා පුවත්පත් කතුවරයන් රැසක් ඉදිරිපත්ව සිටියා. කොවුර් නඬේ ගුරා වූවත් ඔහු ඒ අභීත බුද්ධිමය චාරිකා ගියේ ලොකු කුඩා බොහෝ දෙනාගේ ආශිර්වාදය හා සහයෝගය ඇතිවයි. එවන් පිරිසක් අද සිටී ද? අපි කුමක් කරමුද? මේ ප්‍රශ්නය යලි යලිත් ඇසීමට කාලයයි. 29 Jan 2012: සිවුමංසල කොලූගැටයා #51: ඔබේ විචාර බුද්ධිය දැන් අක‍්‍රීය කරන්න! 18 May 2014: සිවුමංසල කොලූගැටයා #168: නින්දෙන් ඇවිදින ලක් සමාජය හේතුවාදීන්ට අවදි කළ හැකිද? සිවුමංසල කොලූ ගැටයා හේතුවාදීන්ගේ විමර්ශනයට ලක් වෙයි. මගේ අලූත්ම පොත කාල බෝම්බ ඕනෑකර තිබේ! නිමිත්ත කර ගෙන ශ‍්‍රී ලංකා හේතුවාදීන්ගෙ සංගමය 2014 ඔක්තෝබර් 23 දා සංවාද මණ්ඩපයක් කොළඹ එන්. එම්. පෙරේරා කේන්ද්‍රයේ දී පැවැත්වූවා. 2011 මුල සිට මා රාවය පුවත්පතට ලියන සිවුමංසල කොලූ ගැටයා තීරු ලිපියේ හේතුවාදී දැක්මක් තිබෙනවා. මා එම හේතුවාදීන්ගෙ සංගමයේ සාමාජිකයකු නොවූවත් ඔවුන්ගේ තර්කානුකූල හා විචාරශීලි ප‍්‍රවේශය මට ද සමීපයි. ඇත්තටම මා තීරු ලිපිය ලියන්නේ හේතුවාදීන් නොවන බහුතරයක් ලාංකිකයන්ගේ මනැස ටිකක් හෝ විවෘත කිරීමේ අරමුණින්. හේතුවාදීන්ගෙ සංගමයේ වත්මන් සභාපති සූරපාල රණතුංග මහතාත්, ලේකම් තාරක වරාපිටිය මහතාත් මූලික හැඳින්වීමක් කළ පසු හේතුවාදී ක‍්‍රියාකාරිකයන් හා ලේඛකයන් වන ගාමිණි වියන්ගොඩ හා එස්. එම්. බන්දුසීල දෙදෙනා මගේ පොත හා තීරු ලිපි ගැන අදහස් දැක්වූවා. එයින් සාරාංශයක් මෙන්න. මෙය සෑම හේතුවාදියකුම කියවිය යුතු පොතක්. අපේ හේතුවාදීන්ගේ කථාබහවල හා සංවාදවල යම් සීමිත බවක් තිබෙනවා. ආගම්, ඇදහිලි හා විශ්වාස වෙත වැඩි අවධානයක් අප යොමු කරනවා. එහෙත් හේතුවාදීන් ලෙස එවැනි දාර්ශනික සාකච්ඡාවලට පමණක් සීමා නොවී, එයින් ඔබ්බට ද අප සමාජය විග‍්‍රහ කළ යුතුයි. තව කථාබහ කළ යුතු හා විචාරශීලීව බැලිය යුතු බොහෝ දේ තිබෙනවා. එවැනි පරාසයකට බැල්ම හෙලන මේ පොතට හේතුවාදීන්ගේ වපසරිය පුළුල් කළ හැකියි. මේ පොතේ විවිධාකාර විෂයයන් ගැන හා ලක් සමාජයේ විවිධ හරස්කඩවලට පැතිරුණු ලිපි අඩංගුයි. ඒ හැම ලිපියක් පිටුපසම දිව යන හුය ලෙස මා දකින්නේ විවෘතභාවය හා විචාරශීලීත්වයයි. ඒ තමයි මේ ලිපි එකට ගැට ගසන පොදු සාධකය. ලක් සමාජයේ චින්තනයේ සීමා හා පටු බව අතික‍්‍රමණය කරන්න, මේ ලිපි හරහා අපට මග පෙන්වීමක් කරනවා. ඒ ඔස්සේ යොමු විය හැකි නම් ආගම් අරභයාත්, ලෞකික ජීවිතය අරභයාත් අප වඩාත් තර්කානුකූල සමාජයක් බවට පත් වේවි. මෙසේ වීම ශ‍්‍රී ලංකාවට හදිසි අවශ්‍යතාවයක්. අද අපේ රටේ රාජ්‍ය පාලනයට ජ්‍යොතිෂයජ්‍යොතිෂ සෘජුවම බලපෑම් කරනවා. එයට හේතුව රාජ්‍ය නායකයා මේවා දැඩි ලෙස විශ්වාස කරන්නකු වීම නිසා. එපමණක් නොවෙයි, පාලක හා විරුද්ධ පක්‍ෂ සියල්ලේම පාහේ සිටින බොහෝ නායකයෝ හා අපේ ඡන්දයෙන් පාර්ලිමේන්තුවට යන ජනතා නියෝජිතයෝ ජ්‍යොතිෂයට අනුව තමයි රටේ තීරණාත්මක පියවර හා ප‍්‍රතිපත්ති නිර්ණය කරන්නේ. අපේ මැතිවරණ පවත්වන්නේ පාලකයාගේ කේන්දරයට වඩාත්ම සුබදායි යයි කියන දිනයක මිස වෙනත් කිසිදු සාධකයක් සළකා බලා නොවෙයි. මේ නිසා පාලකයන්ටත් වඩා ඉහලින් බලපෑම් කිරීමේ හැකියාව සමහර ජ්‍යොතිෂකාරයන්ට අද ලැබී තිබෙනවා. අද අපේ රටේ බොහෝ දෙනකු නොදන්නා හෝ නූගත් හෝ උදවිය නොවෙයි. ආගම් ඇදහීමේදීත්, ජ්‍යොතිෂය ඇතුලූ ගුප්ත විද්‍යා දැඩි ලෙස විශ්වාස කිරිමේදීත් ඔවුන් තම දැන උගත්කම පසෙක තබා ඔහේ කි‍්‍රයා කරනවා. මා මෙය දකින්නේ මොළය වෙහෙසවීමට ඇති අලසකම ලෙසයි. මොළය වෙහෙසා තර්කානුකූලව හා බුද්ධිගෝචරව යථාර්ථය විග‍්‍රහ කරනවාට වඩා ඉතා ලෙහෙසිනේ මොළය නිද්‍රාශීලීව තබා ගෙන තමන්ගේ වැදගත්ම තීරණ ආගමට හෝ ජ්‍යොතිෂයට හෝ ඒ දෙකටම භාර දීම. එසේ මොළය නිද්‍රාශීලීවීමට ඉඩ නොදී, අලස නොවී ස්වාධීනව සිතන ටික දෙනකු නිසා තමයි ලෝකය ඉදිරියට යන්නේ. විද්‍යාව හා ශාස්ත‍්‍ර දියුණු වන්නේත්, ශිෂ්ටාචාරය වර්ධනය වන්නේත් එබන්දන්ගේ පිහිටෙන්. අපට තව තවත් අවශ්‍ය මේ අවධි වූ සිහියෙන් සිටින අයයි. මොළය අලසව නිද්‍රාශීලීව සිටින උදවිය අවධි කිරීමේ ලොකු වගකීමක් අපට තිබෙනවා. සමාජය විවෘත හා විචාරශීලී කිරිමට මග පෙන්වීම තමයි හේතුවාදීන්ගේ සැබෑ කාර්ය භාරය. හේතුවාදීව සිතිය හැකි දේශපාලනික නොවන කාරණා ඕනෑ තරම් තිබෙනවා. හේතුවාදීන් පුළුල් පරාසයකට යොමු කරන්නට නාලකගේ සිවුමංසල කොලූ ගැටයා තීරු ලිපිය හා පොත් මහත් සේ උපකාර වනවා. ප‍්‍රධාන ධාරාවේ මාධ්‍යවල හා සභාවල බොහෝ විට කථා නොවන දේ නාලක නිතර ඔහුගේ තීරු ලිපියට මාතෘකා කර ගන්නවා. හැම දෙයක් කෙරෙහිම විචාරශීලීව බලන්නට හා ප‍්‍රශ්න කරන්නට ඔහුට හැකියාවක් තිබෙනවා. ඔහුගේ ලිපි කියැවීමෙන් අපේ රටේ බහුලව පැතිර ඇති ළිං මැඩි මානසිකත්වයෙන් අත්මිදිය හැකියි. සිවුමංසල කොලූ ගැටයා තීරු ලිපිවල මා දකින තවත් වැදගත් ගුණාංගයක් නම් ලේඛකයා කිසිදු මතයක් හෝ විග‍්‍රහයක් හෝ සඳහා අනවශ්‍ය ලෙස පෙනී නොසිටිම. මෙය අපේ මාධ්‍යවල දුර්ලභයි. බොහෝ අය තැත් කරන්නේ තමන් කියන දේ පමණක් නිවැරදි යයි ඒත්තු ගන්වන්න. එහෙත් නාලක කරන්නේ අපට හිතන්නට ඇති තරම් කරුණු හා මානයන් සපයා දී අපේ විග‍්‍රහයන් අපටම කළ හැකි තැනකට අප කැඳවා ගෙන යාමයි. එසේම විද්‍යා, කලා, මාධ්‍ය හැම ක්‍ෂෙත‍්‍රයකටම පැතිර පවතින අධිපතිවාදී මතවලට ඔහු නිතර අභියෝග කරනවා. එසේ කරන්නේ සියුම්ව හා ආචාරශීලීව ප‍්‍රතිතර්ක ගොනු කිරීමෙන්. Promo note for my latest Sinhala language book, being released this week at Colombo International Book Fair to be held from 10 – 17 September 2014. 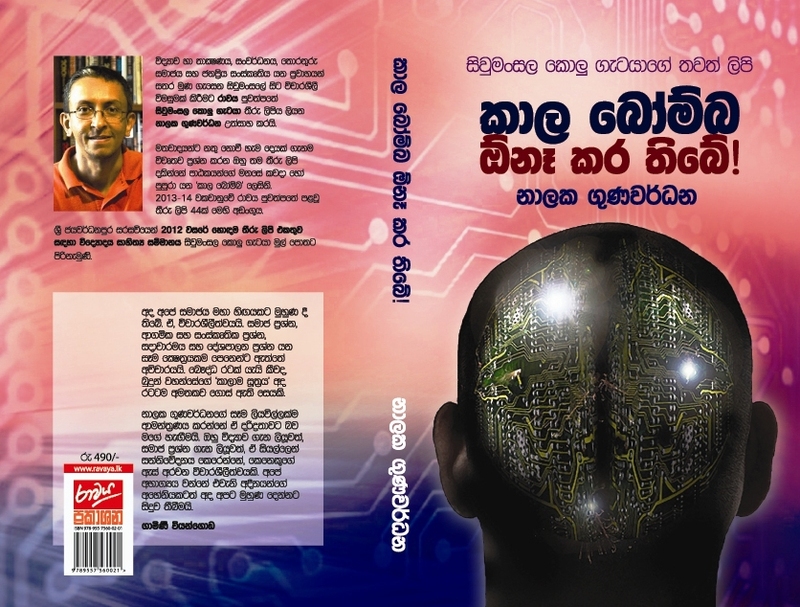 Award winning science writer Nalaka Gunawardene’s latest Sinhala book, Kaala Bomba One Kara Thibe (‘කාල බෝම්බ ඕනෑ කර තිබේ!’ = Wanted: Time Bombs of the Mind! ), will be released at the Colombo International Book Fair that starts on 10 September 2014. 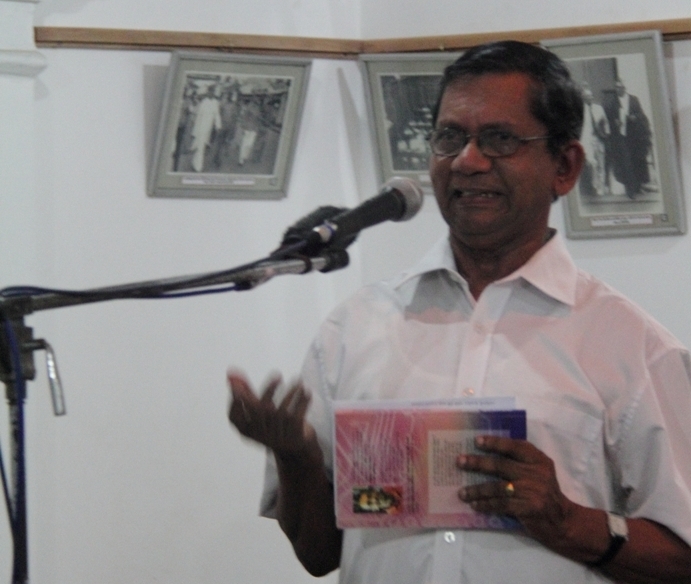 A Ravaya Publication, the book compiles 44 of his weekly columns named Sivu Mansala Kolu Getaya published in the Ravaya newspaper during 2013-14. Launched in 2011, the popular column offers musings of a sceptical inquirer who sits at the intersection (or confluence) of science, development, mass media and information society. The University of Sri Jayawardenapura presented Nalaka a Vidyodaya Literary Award for the best newspaper column of 2012. Written in an easy, conversational Sinhala rich in metaphor and analogy, Nalaka connects the local with global and also bridges sciences and humanities. The new collection touches on pharmaceuticals, organic farming, tobacco control, rationalism, citizen journalism and social media among many other topics. 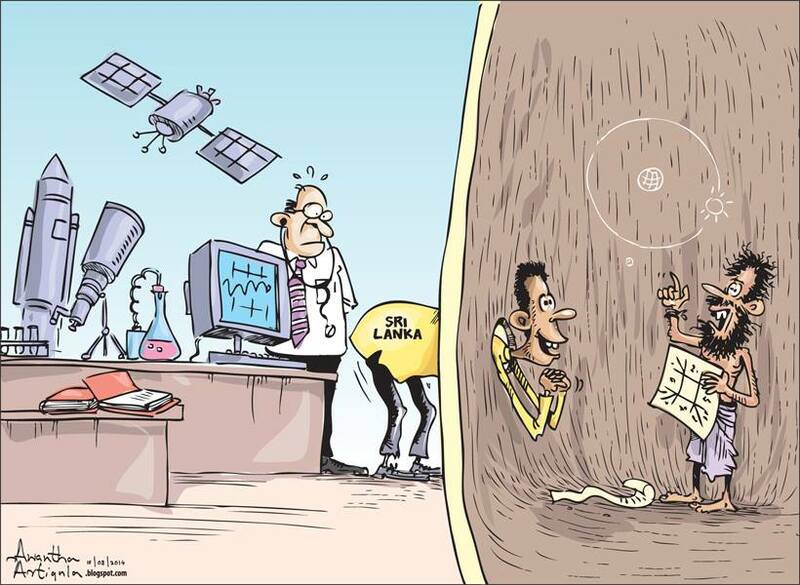 “Lankan society today suffers from a major deficiency of critical thinking. Blind faith and sycophancy dominate our social, religious, political and cultural spheres. 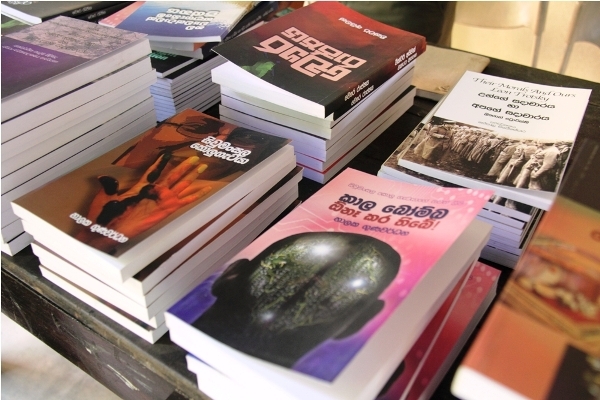 Whether writing on science, development or social issues, Nalaka Gunawardene comes up with refreshing doses of scepticism,” says Gamini Viyangoda, leading Sinhala writer and political commentator. In his quest for clarity and reason, Nalaka talks to researchers, activists and officials. He also draws on his many experiences and global travels as a journalist and development communicator. Nalaka has dedicated this book to two giants of public science in Sri Lanka: late Prof Cyril Ponnamperuma (1923-1994) and late Dr Ray Wijewardene (1924-2010). “They embraced the best of East and West without losing their roots. 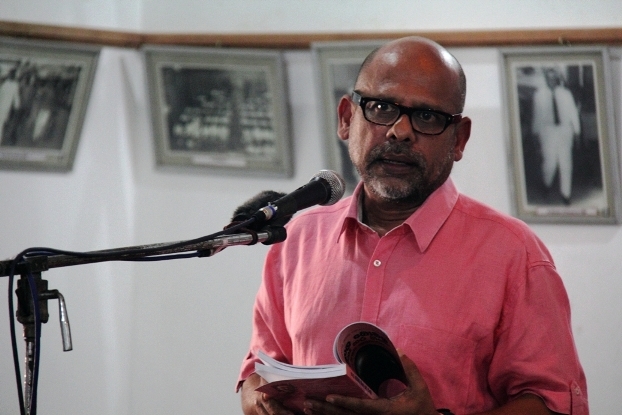 We urgently need such public intellectuals today,” Nalaka says. The book includes columns profiling the work of both scientists, including the Sinhala adaptation of a long interview with Dr Wijewardene. The 300-page book is priced at Rs. 490. It will be available from leading bookstores, and at special discounts from the Ravaya booth during the Colombo Book Fair.